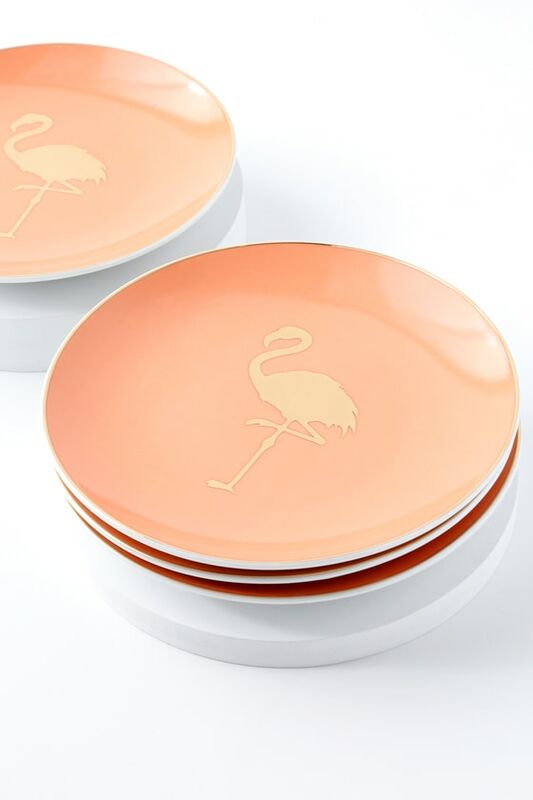 Bring a little luau to your dinner party with the Rosanna Patio Party Gold and Blush Flamingo Porcelain Appetizer Plates! This set features four, blush, porcelain plates, with a darling gold flamingo design, and matching gold trim. Perfectly sized for appetizers or dessert!